Whish for smooth legs without the irritation and ingrown hairs? Or a body wash that doesn't leave your skin Mojave-Desert dry? Designed to pamper and promote soft, bump-free skin, Whish offers a comprehensive collection of shaving creams, aftershave treatments, body washes, body butters, sugar scrubs and shaving tools. Made with natural and organic ingredients, Whish products forgo potentially harmful parabens, sulfates, petrochemicals, DEA and TEA in favor of irresistible ingredients, such as organic raspberry butter, shea butter, marigold, seaweed, aloe and rice bran oil, to moisturize, soothe and nourish all skin types. Whish spoils the skin with every product, letting you create a luxurious spa experience in the comfort of your own home. Begin your rejuvenating retreat with the Whish Pomegranate Three Whishes Body Wash, available in three swoon-worthy scents: pomegranate, lemongrass and almond. With indulgent, hydrating ingredients, such as organic shea butter and raspberry butter, these body washes are perfect for a soothing soak or refreshing shower. For extremely dry skin, use the scrumptious Whish Pomegranate Sugar Scrub, which features brown sugar, organic sugar cane, vitamin E extract and organic avocado oil, to exfoliate, renew and replenish dull skin. Whish for effective shaving products that also soothe your skin while indulging your senses? Whish Pomegranate Shave Crave protects against razor burn, deeply hydrates the skin and delivers a revitalizing, stress-free experience. Available in lemongrass, pomegranate and almond, all three Whish shaving creams feature organic green tea, shea butter and jojoba seed oil to calm and nourish the skin. For a close shave, lather up using the Whish Original Shaving Brush, specifically designed for women to exfoliate the skin and lift hairs effortlessly. No shave is complete without the Whish Pomegranate Shave Savour Aftershave, formulated to soothe skin and slow down hair growth. For the final softening touch, treat yourself to the Whish Almond Three Whishes Body Butter, with organic aloe, raspberry butter and shea butter. The result? Silky-smooth, satin skin. And if by chance ingrown hairs appear, whether from shaving, waxing or laser treatments, banish bumps and pesky hairs with Whish Flawless Bump Fighter. Its clinically proven active ingredients bring back supple skin and impair hair follicles, preventing future growth. Shaving should leave your skin silky smooth, but that isn't always the case. If you aren't using the right shaving products, you might suffer from razor burn or, even worse, painful ingrown hairs. Add Whish Products to your beauty routine to create that silky smooth skin that you've always wanted. Featuring cleansers, exfoliators, moisturizers, and shaving products, Whish has everything you need to create supple, smooth skin. Best of all, Whish Products avoid harsh chemicals, artificial colorants, and synthetic fragrances that can irritate your skin. That means you're using only natural, organic ingredients, the very best to create healthy skin. 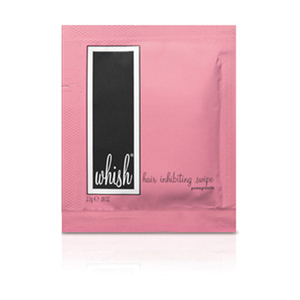 Moisturize, soothe, and nourish your skin at the same time with Whish Products. These unique formulas offer multiple benefits in just one product. You can polish your skin with sugar scrubs, shave effectively with shaving creams, or fight razor burn with this line of products. At the same time, you'll notice healthier, revitalized skin. Create soft, smooth, and bump-free skin with Whish Products. This natural product line uses refreshing, gentle ingredients, such as marigold, aloe, and organic raspberry butter, to revitalize your skin. Choose a Whish Product that aligns with your skin care needs. Shaving bumps and ingrown hairs can leave you wishing that you never put that razor to your skin. Whish Flawless Bump Fighter targets these problems with clinically proven ingredients. It prevents shaving bumps and ingrown hairs, weakens hair follicles to inhibit future growth, and regenerates and heals skin. Whish Flawless Bump Fight features a subtle cucumber scent, does not contain alcohol, and is not tested on animals. This hypoallergenic formula has proven results, reducing ingrown hairs by 34% after four weeks. Clinical test participants also reported that the product soothed inflamed skin, reduced skin redness when shaving, and created an improved skin appearance. Apply Whish Flawless Bump Fighter to your problem areas after a shower or bath. Whish Pomegranate Shave Cream Shaving Cream Pump includes antioxidant-filled pomegranate oil and glycerin soap to repair and rejuvenate your skin. It moisturizes your skin while shaving and prevents razor burn. The refreshing scent revitalizes your skin. Whish Pomegranate Shave Cream Shaving Cream Pump is hypoallergenic, paraben and sulfate free, and is not tested on animals. Welcome the clean, calming scent of lemongrass into your shower by using Whish Lemongrass Shave Cream Shaving Cream Pump. This shaving cream creates toned, smooth skin while relieving stress. It adds moisture to your skin, prevents razor burn, and leaves your skin feeling rejuvenated. In addition to using it for shaving, this cream can help soothe muscle aches, ease stiff joins, and improve your muscle tone.